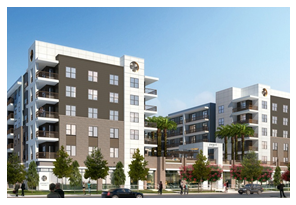 ​HOUSTON - Morgan has opened Pearl Washington, its latest luxury apartment development. Pearl Washington contains five stories, with 322 one-, two- and three-bedroom units over two levels of garage parking. All units, which range from 652 sf to 1,443 sf, have balconies. ​The midrise is located at the corner of Washington Ave. and T.C. Jester Blvd., surrounded by Washington Ave.'s restaurants and nightlife, Memorial Park and the Houston Heights neighborhood. Downtown Houston and the Galleria/Uptown are only three miles away. Residents also can enjoy a Vegas-inspired swimming pool with private cabanas and an expansive sun deck overlooking Washington Avenue and downtown. ​Che​ck out Houston area multifamily market research for reports.